Details: The Museum is always free for WKU students. In recognition of the important role parents and families play for our Toppers, the Museum is offering free admission to all WKU parents and families. Visit wku.edu/kentuckymuseum for exhibit information. No tickets or registration required for this event. To participate, come to DSU on Saturday, Sept. 29 between 1-2 pm and look for our registration table in the main lobby. There you will fill out a registration form with the names of your team and its members and get the clues sheet and a WKU map. Your starting time will be noted and you can begin the hunt! This is a chance to use creative reasoning to figure out clues that will lead you by foot to 20 locations across the WKU campus. You will get to have fun learning about the campus and its history (or perhaps to get to know it all over again!) and to appreciate features that you probably overlook or didn’t know about. You can compete as an individual or a team, but you will probably solve the clues faster and have more fun in a group. The hunt will probably take 2-3 hours to complete. Fabulous prize for the team that finishes first in the shortest amount of time. Prizes also for 5 runners up and all teams have the chance to enter a raffle for WKU swag! Meet study abroad staff and student representatives and find out more about education abroad opportunities. Tour your student’s residence hall, meet your student’s Hall Director(s) and Resident Assistant, engage in fun activities, and enjoy some light refreshments before heading over to the Student, Parent & Family Member Welcome. Details: No ticket or registration required for this event. Location: Adams-Whitaker Student Publications Building. Details: WKU Student Publications, home of the College Heights Herald and the Talisman, will host an open house. Parents and Families of the WKU student staff members are welcome to drop by to see where their students spend their time honing their skills. Details: No tickets or registration required for this event. Details: Buffet and Cash Bar! 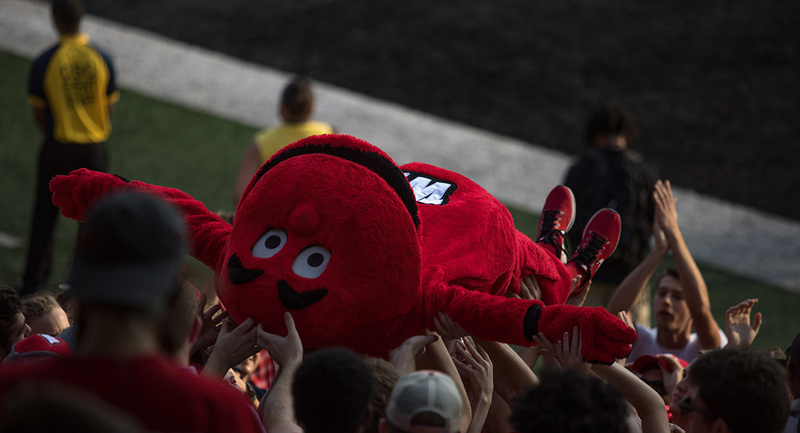 Welcoming alumni, families, and friends for food, fun and plenty of WKU Spirit! Details: WKU invites you to join them for food, music, and fellowship on the Downing Student Union South Lawn. Details: WKU Student Activities invites you to join them for the incredible sounds of the Trinidad Tripoli Steel Band on the Downing Student Union South Lawn. The Trinidad Tripoli Steel Band has been performing for the Hilltopper Nation for the past 35 years.